We often get asked what kind of mats are the best mats for gymnastics. As gymnastics is a very popular sporting activity there is always a need for gymnastics mats in the general population. Gymnastics mats are important as they help minimise the impact of training. 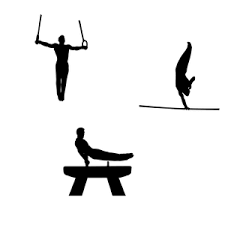 With gymnastics there is a lot of tumbling, jumping, somersaults etc which can resulting in the practitioner falling and impacting with the floor. Using anti-fatigue mats therefore is necessary for any training area. There are a number of mats which can be helpful in such a situation. A great kind of mat for this kind of training is foam mats. Foam mats are made from compress expandable foam which has a stated hardness and density which gives it the ability to absorb impact. Usually the thicker the foam mats the better the absorptive qualities. For an activity like gymnastics it would probably be recommended to go with something thinker thick a 40mm foam mat. None the less any thickness for the foam mats would be better then no mats at all. Puzzle mats are another name for these mats and seem to be what a lot of people know that as. Puzzle mats are also made from foam but they connect together in a puzzle formation which is where they get their recognition from. The puzzle format allows them to be connected together in a stable manner therefore forming a continuous mat. This added strength offer stability for the practitioner with the knowledge that they will not come apart during training. Puzzle mats are a great option for training gymnastics and should always be considered when choosing a mat.